We are seeking a highly motivated Sales and Communications Manager to join our team, working 4 or 5 days a week from our South London studio. 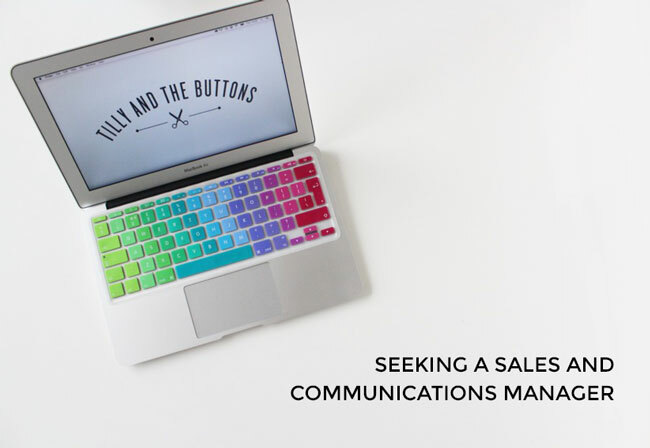 If you have a passion for communicating authentically and effectively with craft lovers and customers; if you blend commercial acumen with a creative eye and a love of writing; and if you love dreaming up content and promotional ideas and seeing them through to completion, then this role could be for you. Please take a look at the job description for further details and how to apply. Open Call: Show Us Your Sewing Space!